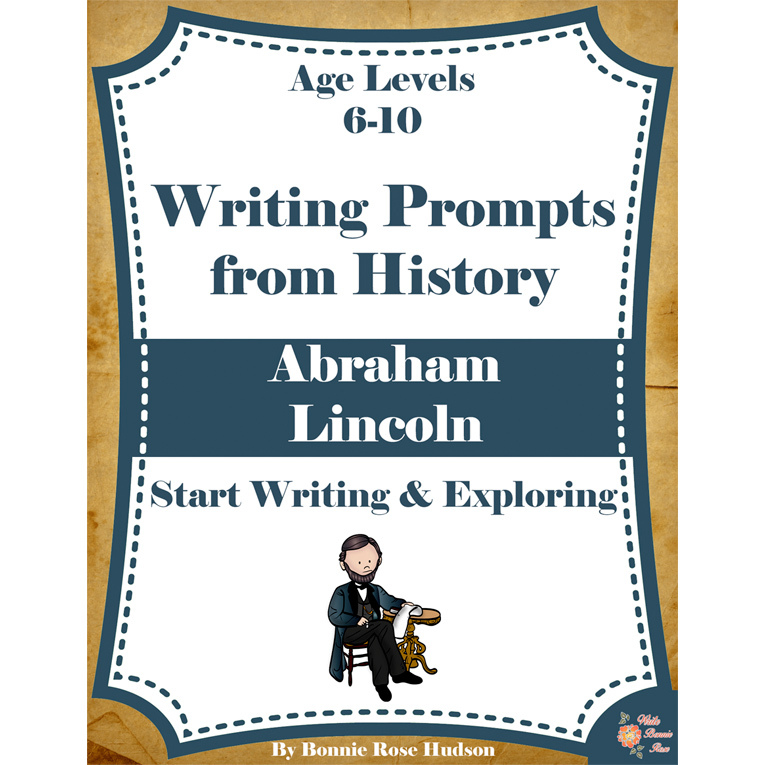 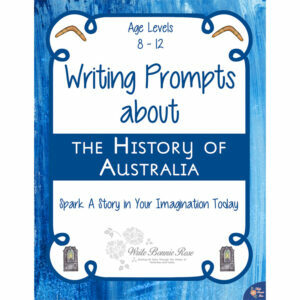 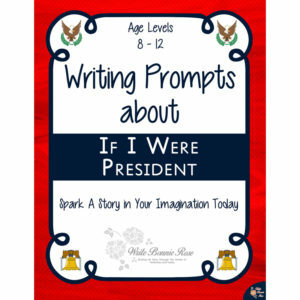 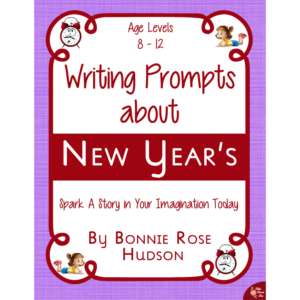 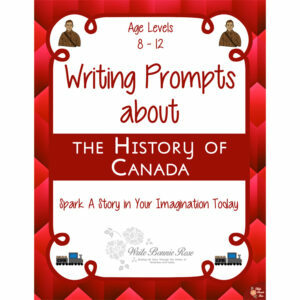 This bundle of writing prompts includes 40 prompts from American history to engage your 6-10-year-olds in both writing and history. 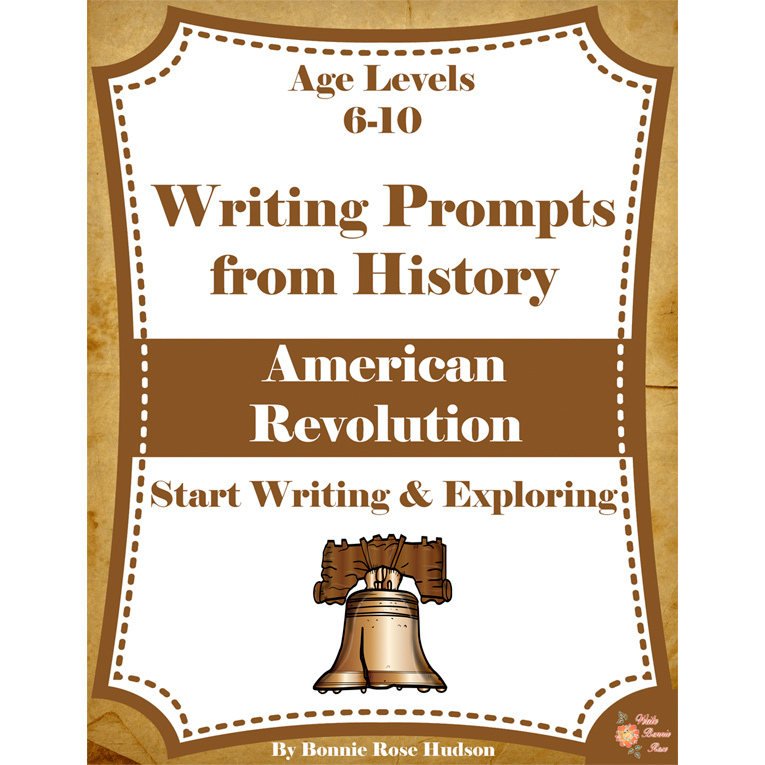 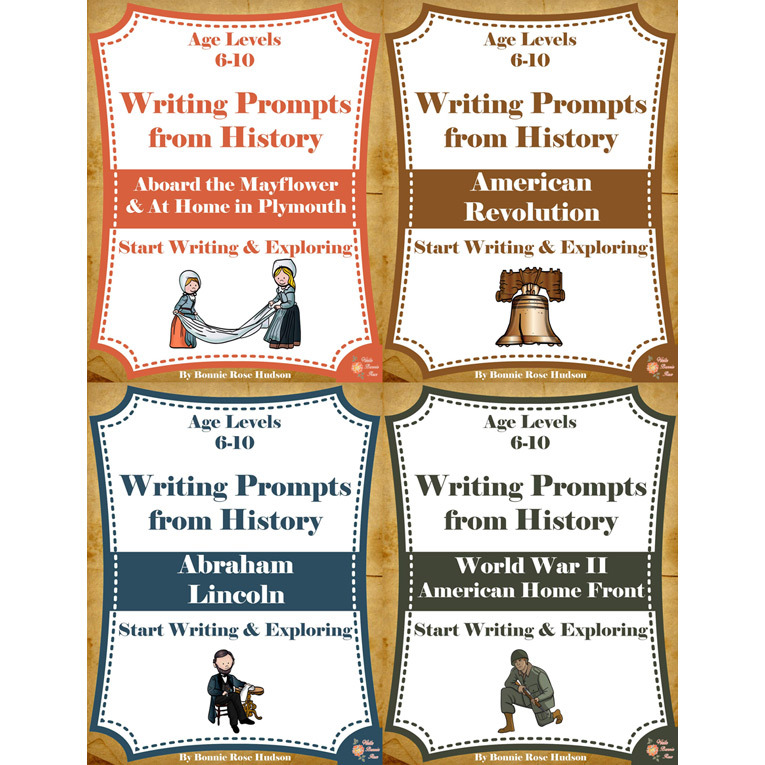 See a preview of Writing Prompts About American History Bundle (Ages 6-10). 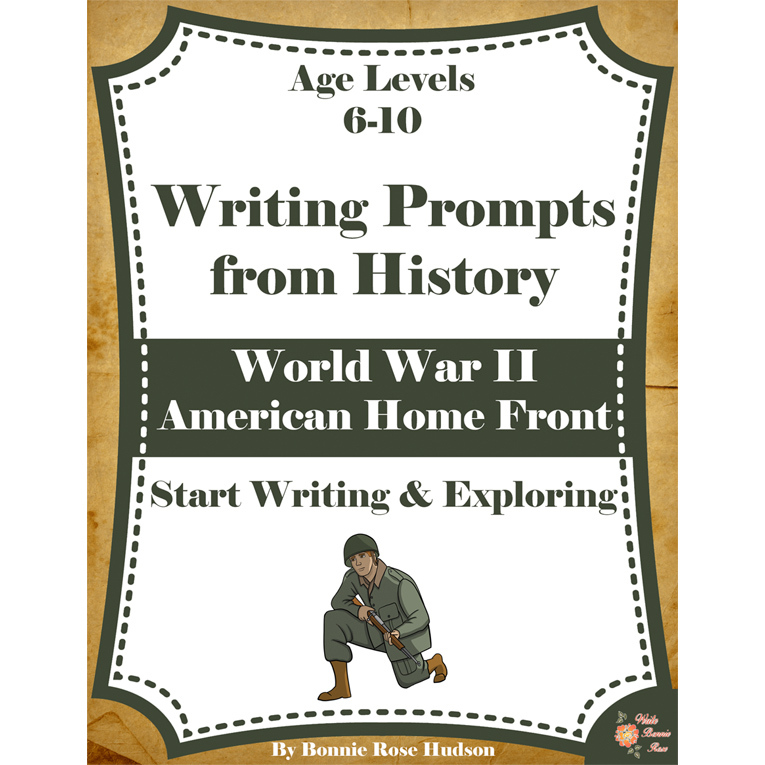 This bundle of writing prompts includes 40 prompts from American history to engage your 6-10-year-olds in both writing and history. 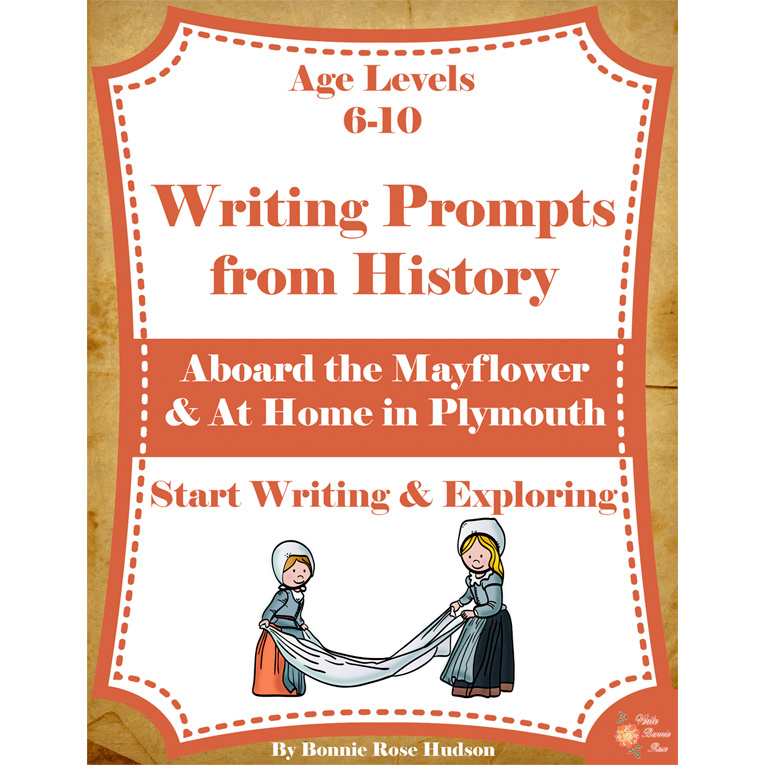 Topics explore daily life aboard the Mayflower & at home in Plymouth, during the American Revolution, during the life of Abraham Lincoln, and during World War II on the American home front.